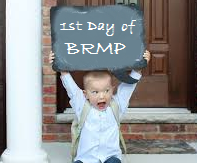 For some time now I have been looking at taking the BRMP (Business Relationship Management Professional) course. For me scheduling was typically the constraint as I was moving about working with different clients. At the recent BRM Connect Conference sponsored by the BRMI this past May I committed to completing the training this year, if time allowed. Fortunately the planets lined up and I am able to take the training online with ITSM Zone. Over the next few weeks I will outline a take away from the sessions and share them with you to illustrate what business relationship management has to offer. After logging into the ITSM Zone training system I was easily able to begin the course. In the introductory component one of the lessons that resonated with me was the piece about the Business – Provider Maturity Model. The theme revolved around supply and demand. Unlike many other maturity or capability assessments this one spoke to the business use of services. One of the main functions is to shake out the maturity of the supply capabilities from the provider as well as the business demand. In this initial level of business – provider maturity, demand for services likely comes in from several business units or silos. This level is very tactical and operational. I have worked in many organizations which exist in this level. Because these organizations operate in this silo/tactical manner, different teams used different tools to complete the same level of work. While this seems counterproductive, we find that as we endeavour to ‘Keep the lights on’ we continue to exist in this level until we can facilitate a move to the next level. In the next level we start to get away from the disparate systems we saw in level one to get a better sense of overall integration from the business perspective. We start to look at enterprise systems and collaboration as compared to the silos from level one. Of course with this comes a new skill set where in order to support business needs we as the provider need to have a better sense of the business itself. Unfortunately I have worked at less of these organizations. While none had a formalized BRM function as defined by a particular role, each person understood that the need was there to work closely with the business and there was a stronger presence of business analysis for each corporate service which supported the business. This strategic maturity level is where we as the provider is working with the business to help them innovate and grow. It is at this point we are looking to go the extra mile beyond what is capable from a tactical perspective and be nimble enough to take advantage of opportunities that level one or two are not agile enough to handle. Sadly I have not had the opportunity to work for such an organization as yet but perhaps after this training I will be able to help an organization get there. The challenge here is to understand that we need to shift our thinking a bit. Like many improvement initiatives we see an increase in results in the beginning but then we reach a plateau of some type. This principal applies to many improvement initiatives. A good example of this is people who exercise regularly. For them to take their workouts and results to the next level they need to shock their muscles by doing something different with the original outcome in mind. From a BRM perspective both the business and the provider have to look at new ways of achieving goals. The trick here is to balance supply and demand, and that we (business and provider) work together to get to the next level.